Amid incidents of ATMs running dry in various parts of the country, Finance Minister Arun Jaitley said there is a temporary shortage of cash in some areas and that the situation is being tackled quickly. "Have reviewed the currency situation in the country. Over all, there is more than adequate currency in circulation and also available with the banks. The temporary shortage caused by sudden and unusual increase in some areas is being tackled quickly," said Jaitley. Additionally, S.P. Shukla, Minister of State for Finance, said the BJP government at the Centre and the RBI has formed committees to tackle the matter. "We've cash currency of Rs 1,25,000 crore right now. There is one problem that some states have less currency, and others have more. The government has formed state-wise committees and RBI also formed a committee to transfer currency from one state to another. It'll be done in three days," Shukla said. 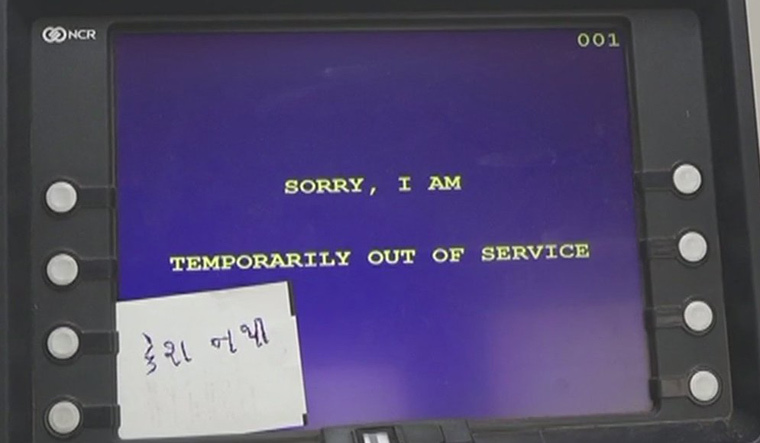 Over the past couple of days, incidents of cash shortage were reported from various parts of the country, including Delhi, Bihar, Telangana, Andhra Pradesh, Gujarat, Madhya Pradesh and Uttar Pradesh. "We have been unable to withdraw cash from ATMs as the kiosks, in several parts of the city, have run out of cash. We have visited several ATMs since yesterday but it is the situation everywhere," said an individual in Hyderabad. As ATMs went dry, people said there they were facing trouble paying for the admission of children and even purchasing groceries and vegetables. People are concerned as the situation brought back memories from the days after demonetisation. Meanwhile, Madhya Pradesh Chief Minister Shivraj Singh Chouhan on Sunday cried conspiracy. Addressing a farmers' convention here, Chouhan said, "The currency worth Rs 15,00,000 crore was in circulation before demonetisation. After this exercise (demonetisation), the currency in circulation increased to Rs 16,50,000 crore. But notes of Rs 2,000 are missing from the market."